Deepdale offers delightful seclusion for those who enjoy escaping into the grandeur, beauty and peace of the Lake District. 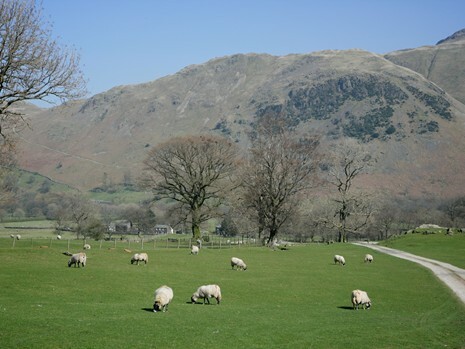 Our traditional Lakeland Farm itself offers many attractions including beautiful views, some great walks, and plenty of friendly animals. Please click here to find out more about Deepdale Hall Farm. There are also a great range of local attractions as well as some great local pubs. There are shops and post offices in Patterdale and Glenridding and it is only a few miles over the Kirkstone Pass to Ambleside. You can walk from the farm to explore the fells if you wish - perhaps up to Fairfield or Helvellyn, or the lower level valleys. We are also very close to Brotherswater, which has a superb flat and scenic walk along the western edge of the Lake. There are steamer cruises and other activities on Ullswater. Taking the steamer from Glenridding to Howtown on the Lake's Eastern shore and walking back is a lovely way to spend a day. The popular Aira Force waterfalls are just above the Lake, being especially magnificent after rainfall. From here you can explore the whole of the Lake District, roam the Vale of Eden, visit Hadrian's Wall, shop in Carlisle - whatever takes your fancy! 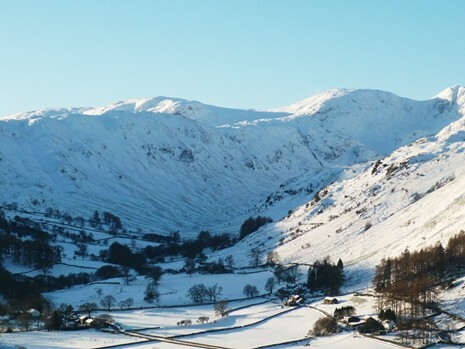 The nearest pubs are the Brotherswater Inn and the White Lion in Patterdale. Patterdale is also home to a hotel as well as a village store and post office. You can also buy Mohair and Herdwick wool socks, rugs and throws from the Crookabeck Farm Shop. A couple of miles to the north lies Glenridding, which has three pubs including the excellent Travellers Rest pub. There are also several shops including Catstycam outdoor shop. 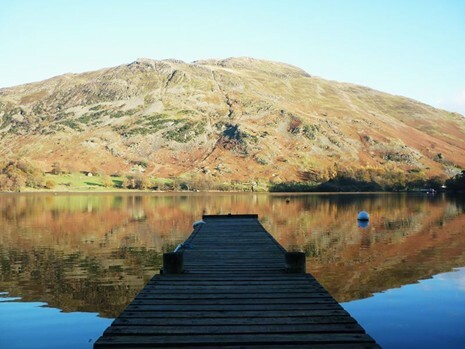 Glenridding is also one of the bases for the Ullswater Steamers which sail all year round from the pier to Howtown and Pooley Bridge, and also the Glenridding Sailing Centre, which provides offers a range of the water borne activities on Ullswater. Ambleside, Windermere, Grasmere, Keswick and Penrith are all within a 30 to 40 minute drive of Deepdale Hall, making it an ideal base to explore the whole of The Lake District. M&A Private Hire offer 4 or 6 seater cars providing a range of pre-booked car services around Ullswater and across Cumbria and the Lake District. They are very familiar with Deepdale Hall as Jimmy occasionally helps them out with driving so they are the ideal taxi service during your stay with us! Please click the link for more info on M&A Private Hire.